Do you want an immersive home audio experience with a simple push of a button? 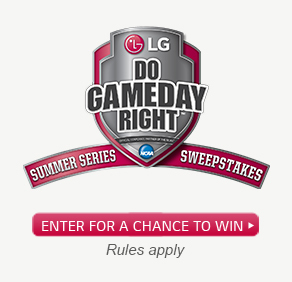 LG Electronics has you covered with the expanded Music Flow Wi-Fi Streaming audio lineup. 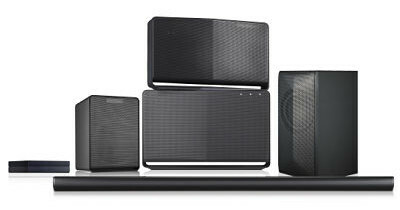 For those who are looking for a highly-customizable home audio system, LG’s expanded Music Flow lineup includes the Portable Wi-Fi Speaker (H4) and two Wi-Fi Streaming Sound Bars (LAS950M and LAS851M). A new Portable Bluetooth Speaker (P7) delivers superior sound performance, and limitless possibilities for music listening convenience. With the new Music Flow lineup, you can now customize the best audio devices for your ultimate home audio ecosystem with streaming and connectivity features that will bring limitless possibilities to your home. The H4 Portable, LAS950M, and LAS851M deliver a seamless audio experience anywhere in the house by combining LG’s Advanced Wireless Network with Dual Band Wi-Fi Support. 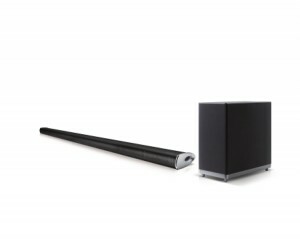 LG’s stylish and powerful sound bar, the LAS950M, employs a 7.1ch 700W receiver and delivers surround sound with an incredibly wide “sweet spot” with 7 discrete amplifiers. Meanwhile, the LAS851M features a 4.1ch 320W receiver for incredibly high sound quality. In addition, the H4 Portable is a compact, rechargeable speaker that can be moved from your living room to your garden to work together with the Sound Bars. 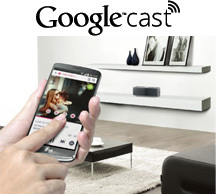 Listening to your favorite audio apps on Google Cast devices is as easy as the press of the cast button. On top of the existing Music Flow Speaker series, including H7, H5, H3 and LAS751M, LG’s new LAS950M, LAS851M and H4 Portable also have Google Cast built-in so you can cast your favorite audio apps like Pandora, Google Play™ Music, iHeartRadio and TuneIn from your personal device to your speakers. You can cast from your Android™ phone or tablet, iPhone®, iPad®, Mac or Windows laptop or Chromebook. Designed to give you more freedom while listening to music, cast your favorite tunes to your speakers and search, play or turn up the volume directly from your apps. *Service is available as of April 2015 for LAS950M, LAS851M, H7, H5, H3 and LAS751M; end of May for H4 Portable. *Available Content Provider services vary by region and country and subject to change without notice. *Android, Google Play, Google Cast and the Google Cast badge are trademarks of Google Inc.
LG Music Flow uses the Auto Music Play by LG Range-of-Flow™ that automatically syncs with your devices when you are one foot away from the device via Wi-Fi. With two or more speakers, use L/R Stereo Mode for a more immersive audio experience. For your home cinema experience, use Home Cinema Mode by simply adding an LG Music Flow Sound bar to your network and synchronizing it with your LG Music Flow Speakers. Also included in the company’s new lineup is the Music Flow P7, which features crystal clear sound quality, seamless connection and on the go portability. Thanks to the compact shape of this portable device, which features a silver or white finish, you can stay connected with your music wherever and whenever you wish. The Music Flow P7 is equipped with LG’s Auto Sound Engine and two passive radiators, which delivers crystal clear sound at any listening level. This speaker comes equipped with the Multi Point access function which allows the device to connect with up to three Bluetooth devices at the same time and switch between them without any hassle. 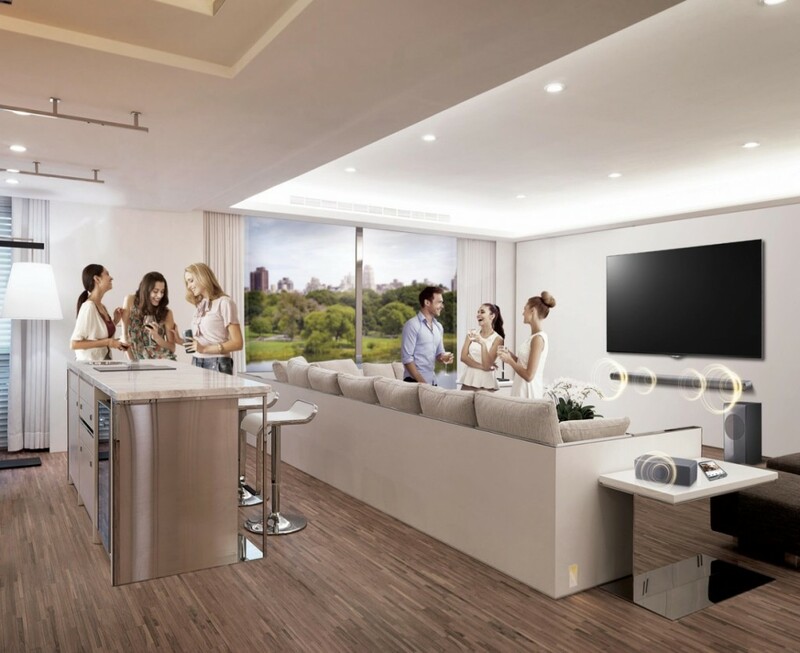 Users also can connect the Bluetooth speaker to a compatible LG TV for enriched sound (TV Sound Sync) or can get much more powerful stereo sound by connecting two P7s to a TV or smartphone (Dual Play). The L/R Stereo Mode is also offered for your listening pleasure with two speakers. The rechargeable lithium-ion battery plays up to 9 hours. The speaker also comes with a universal micro USB, which lets the music flow even when you are charging. Don’t limit yourself to ordinary speakers and free yourself from drops, stuttering or disruptions. With LG’s expanded Music Flow lineup, fill your home with constant flowing sound and bring entertainment wherever your adventures take you.